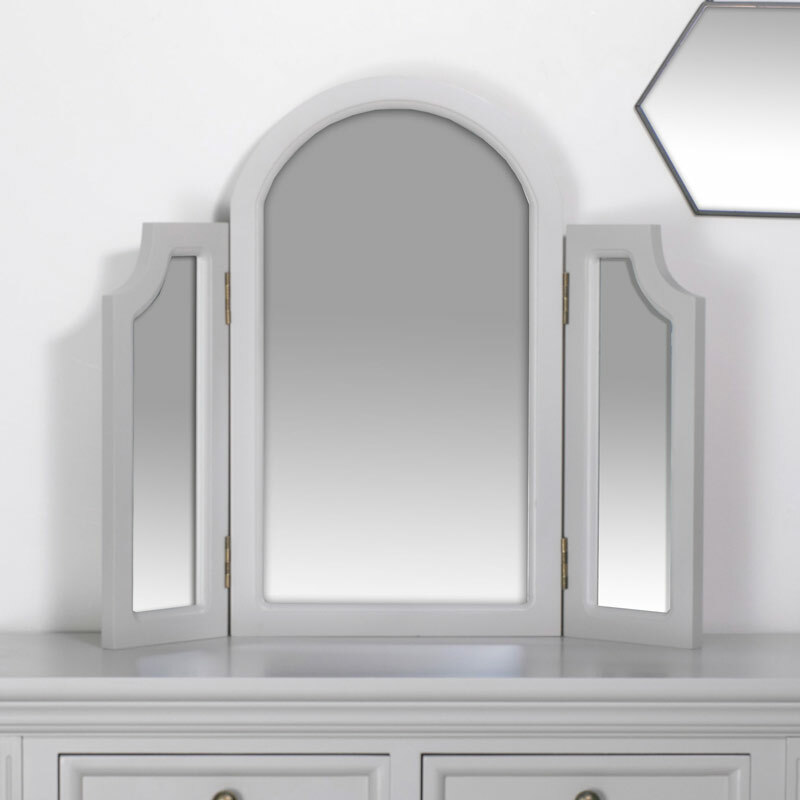 Our Table Top Triple Vanity Mirror in the Daventry Grey Range is the perfect addition to your bedroom. Why not pair it with our Daventry Dove-Grey Console/Dressing table?! Painted in grey this will be the perfect mirror for sitting on our Daventry Grey dressing/console table. In a 3 way design that allows you to catch all your angles with a large arched centre mirror with 2 smaller mirrored side panels. 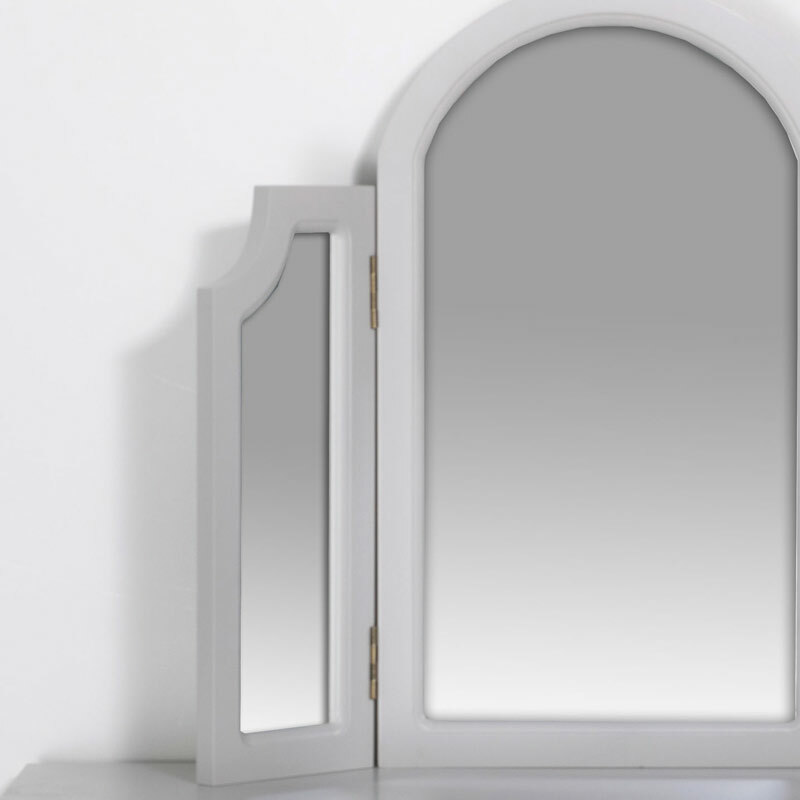 This mirror will be ideal for teaming up with our Daventry Dove-Grey bedroom furniture. Constructed with 3 wooden panels, connected with hinges and painted in a grey finish. The mirror comes fully assembled and ready to use. Our Daventry Dove-Grey Range is so stylish and incredibly popular. If grey is not for you we also have white, cream and taupe-grey colours available.